If you're looking for the perfect vampire-repelling garlic-packed vegan miso soup to try, look no further. This basic vegetarian and vegan recipe cooks in just a few minutes. The perfect side for a Japanese meal. If you love garlic, you can use many of these ingredients to make a vegan Japanese miso soup. This quick and easy Japanese miso soup recipe is vegetarian and vegan. It can be gluten-free as well if you use a gluten-free miso. 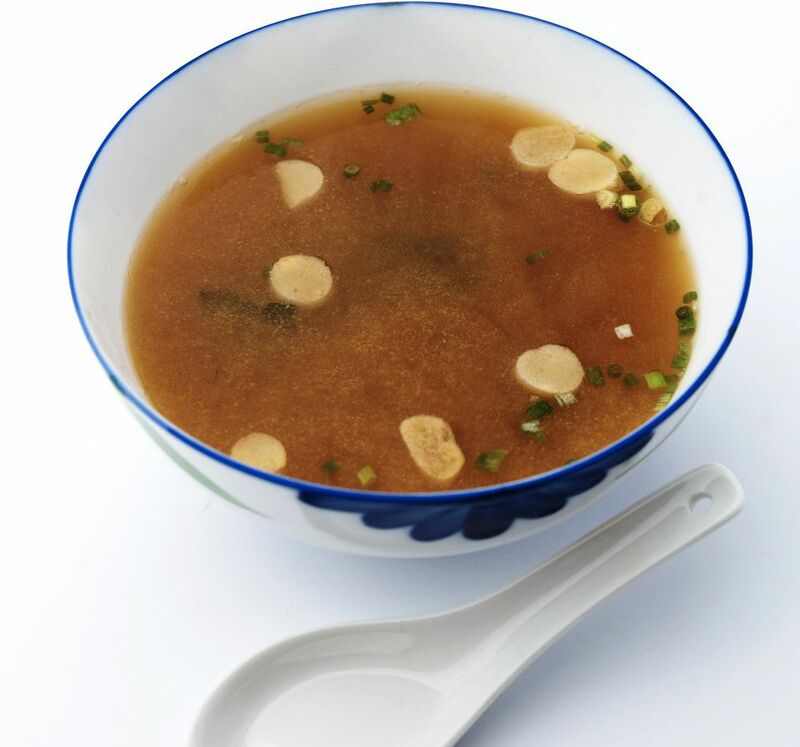 Miso is traditionally made from little more than soybeans and is therefore gluten-free, but many grocery stores stock a variety of misos these days, including miso made from grains such as barley, which is not gluten-free. Heat water just to a low simmer, then reduce the heat so the water is hot but not actually simmering or boiling and then stir in the miso. You want to be careful that the water doesn't boil when you add in the miso, but rather it should be just below the boiling point. Stir well to fully dissolve the miso and make sure there are no clumps, then, stir in the remaining ingredients and allow to heat for a couple minutes, just to gently soften the garlic and mushrooms.